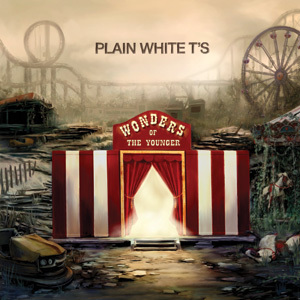 For Plain White T’s, there could well be a remainder of the ‘Hey There Delilah’ backlash from 05 – some justified, a lot following the herd. So from opener ‘Irrational Anthem’, their sixth album is so unashamedly poppy and upbeat that it’s like they’re gleefully giving their finger to the haters. What this means is that if you find this band annoying, you’ll probably hate them 10 times more after hearing ‘Wonders Of The Younger’. For the rest of us, there’s no denying that ‘Rhythm Of Love’ and ‘Killer’ are guilty pleasures in the making – consider us thoroughly killed with kindness.